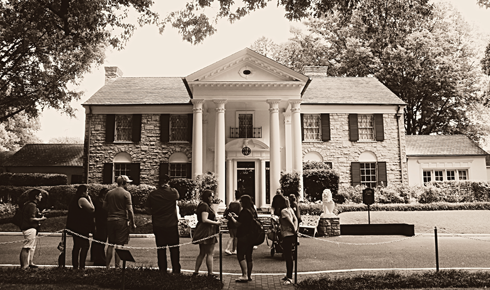 Elvis may have left the building, but that hasn't stopped countless fans from visiting Graceland in Memphis, Tennessee each year. 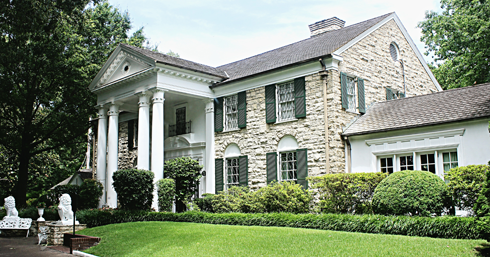 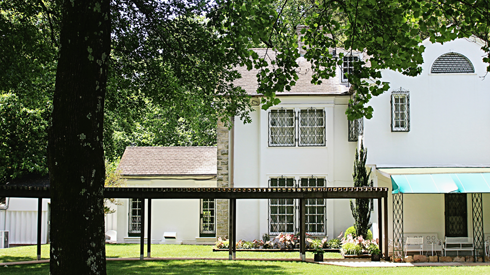 As one of the most popular homes in the United States, the former estate of Elvis Presley is now a museum, archive, national historic site, and shrine to the life and music of this undisputed rock and roll legend. 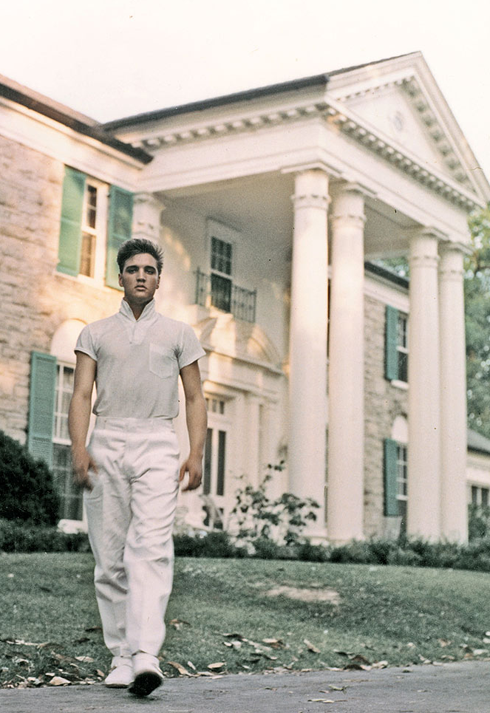 The house was built in 1939, however it was on March 19, 1957 that Elvis Presley bought the property for $102,500. 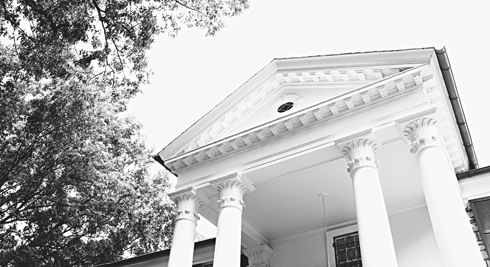 Situated on a 13.8 acre wooded estate, the southern Colonial mansion used to be on the outskirts of Memphis, but as the city grew it became surrounded by other properties. 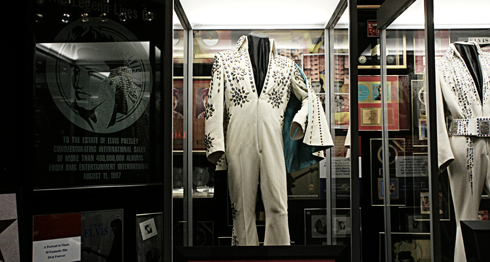 Today, as amazing as it is, Graceland is at the center of what can only be described as an unapologetic tourist trap dedicated to The King. 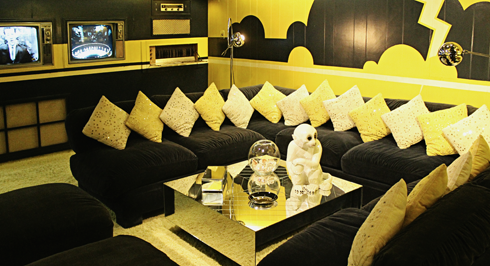 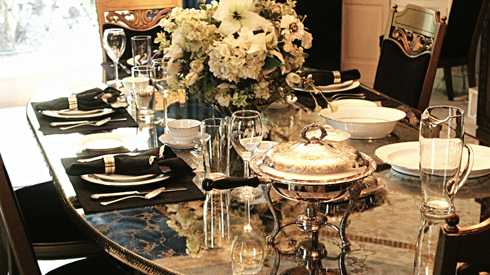 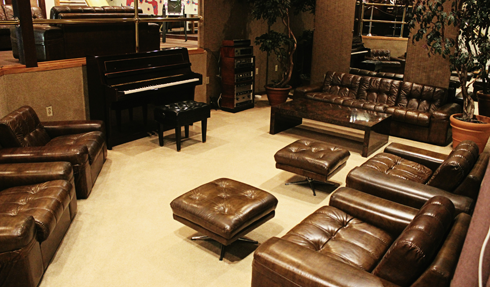 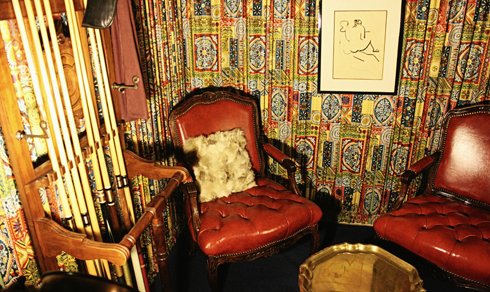 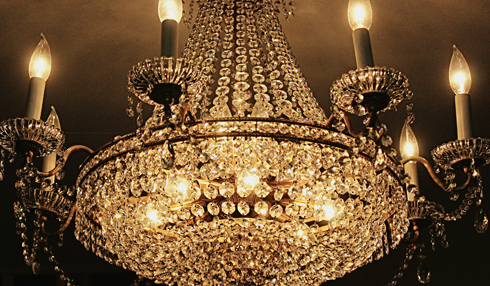 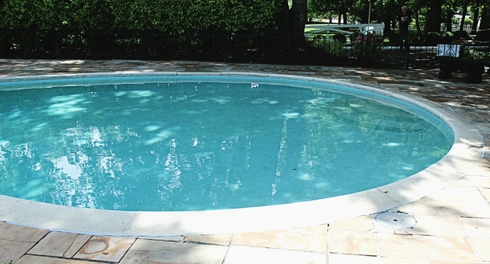 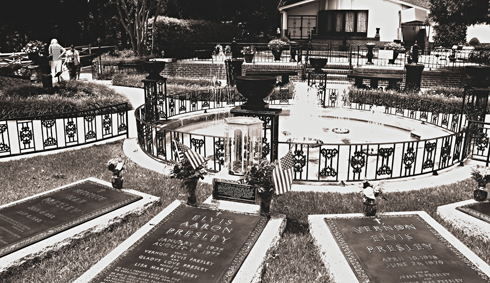 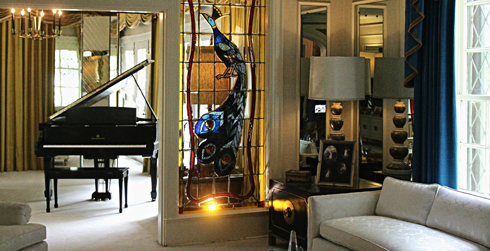 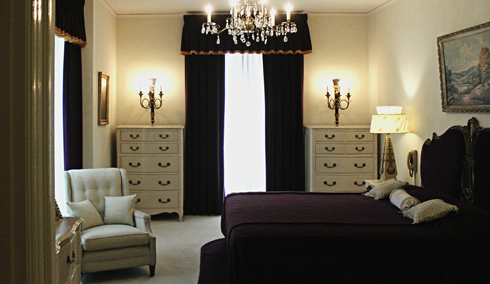 Elvis would call Graceland home for two decades, before his untimely death here in 1977. 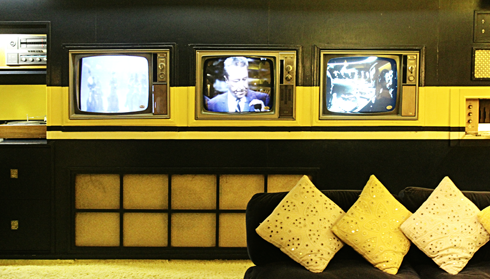 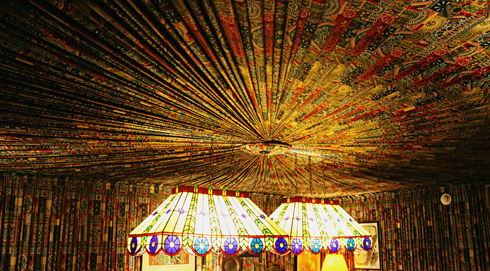 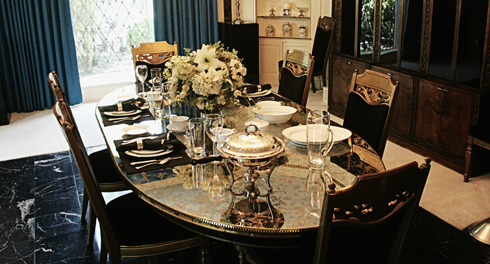 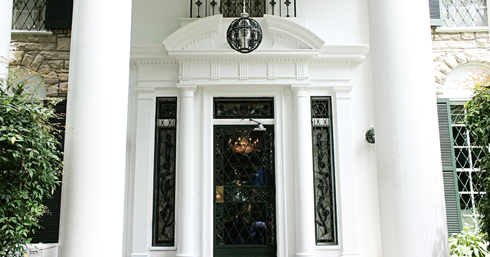 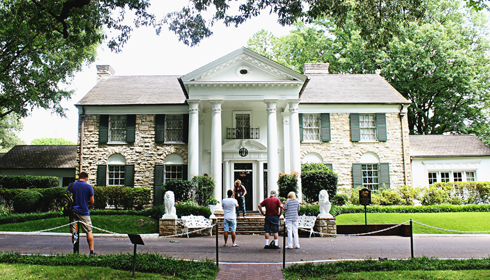 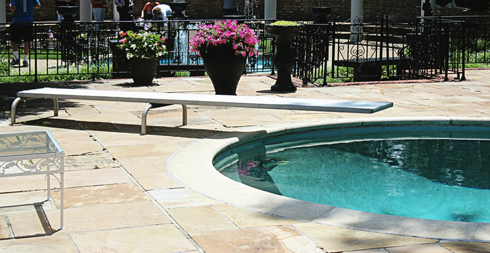 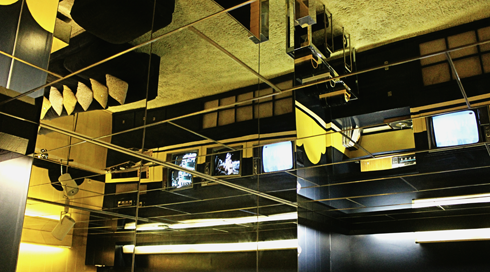 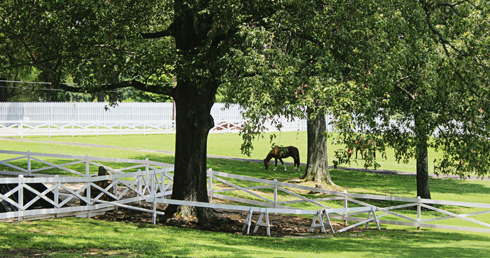 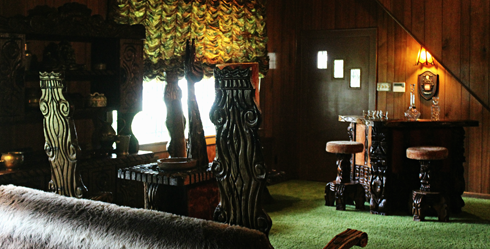 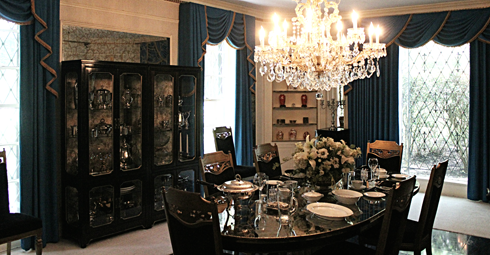 Recognizing the enormous upkeep costs, Graceland was opened for public tours on June 7, 1982. 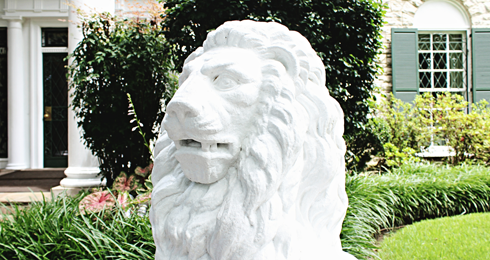 He, along with his parents, Gladys and Vernon, and his grandmother, are all buried in the Meditation Garden on the property. 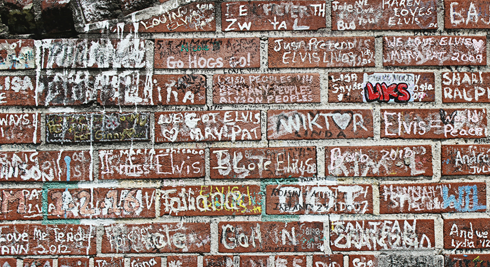 Names and messages written on the brick wall surrounding Graceland. 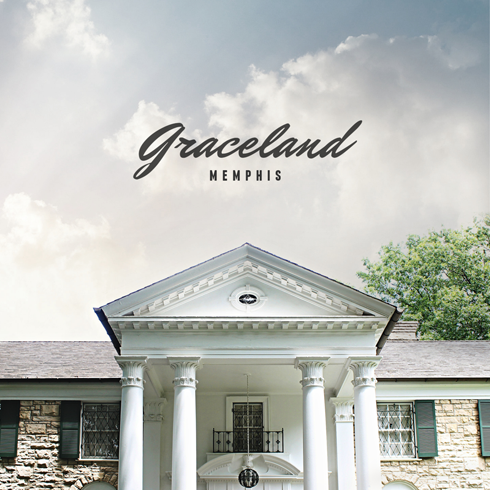 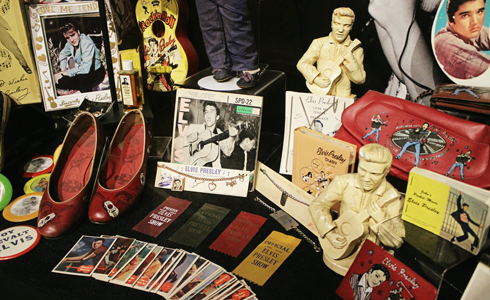 Graceland remains a fascinating look into the life of Elvis Presley. 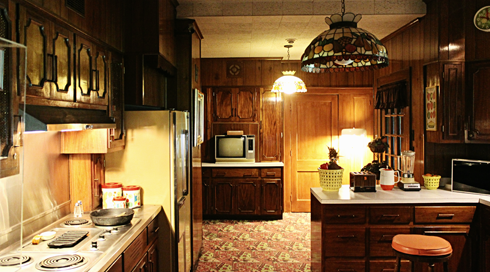 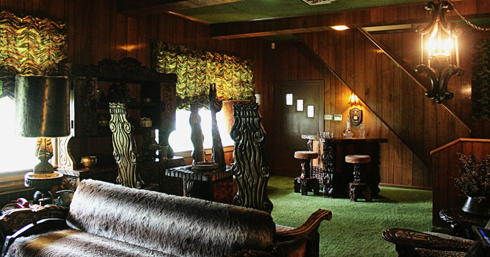 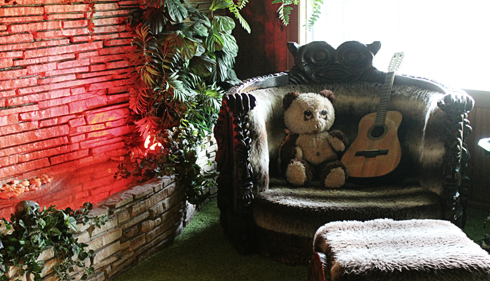 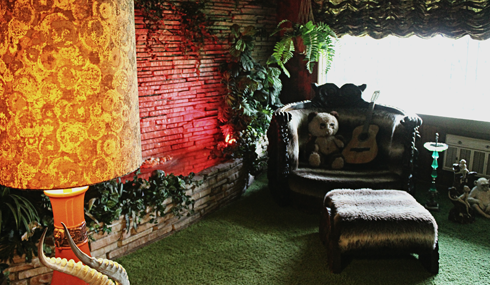 From the kitsch 1970's decor of the Jungle Room to the upholstered ceilings in the pool room to the three televisions that Elvis would watch in his media room, the home is well kept and locked in time. 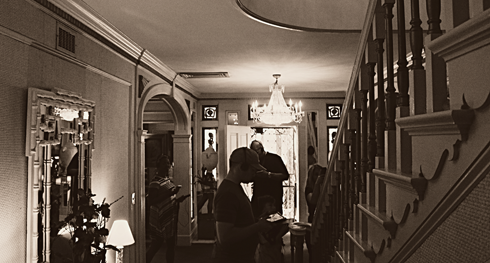 Only the upstairs remains off limits. 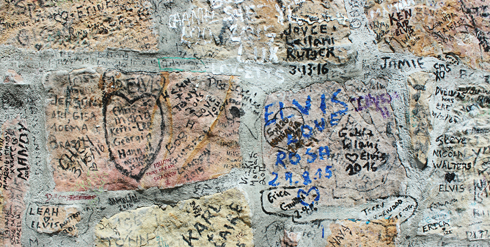 Still, there's no place better than Graceland to appreciate the man who revolutionized rock and roll. 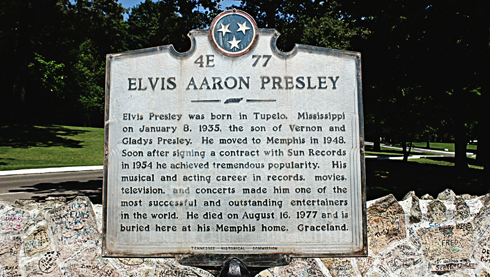 Elvis Presley is still very much alive in Memphis. 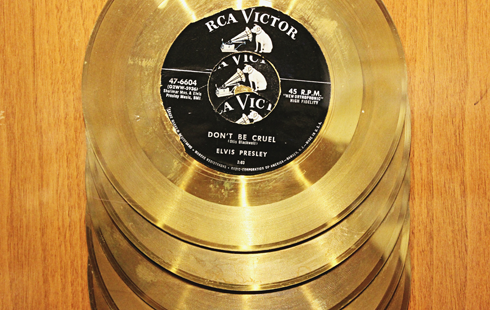 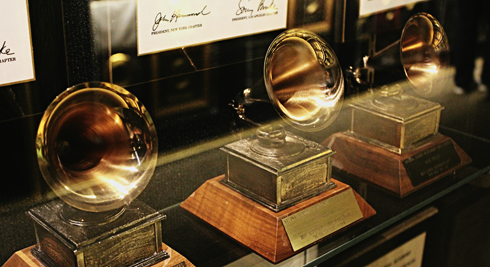 Elvis Presley's three Grammy Awards.